The competition is not easy in the digital world and it is increased day after day. What helped you to reach your current position in the market will not help you to reach your desired market share. We have extensive expertise in guiding established technology-oriented companies through their rebranding process, reestablishing market leadership and gaining their desired future results. Reposition your brand in the market and in your current and prospect customers for a better chance in the daily increasing competition. Retarget your suitable customers by focusing on branding and marketing efforts on the suitable current demographics for your suitable customers and existing services. Reconnect with the desired market segments as rebranding capable of eliminating the gap with the changing demographics of your prospect’s customers. Reflects a shift in your strategy by rebranding to demonstrate the change of the mentality, values & increasing expertise in your brand. How we manage your rebranding strategy and process? We communicate with directors, employees, and consumers, to get varied perspectives on how the organization is perceived, both internally and externally. We provide the opportunity for the overall involved individuals to participate early on in the process through the brand perception survey so that we could benefit from their ideas, expertise, and passion for the organization. Then, as a task force, we used this input along with our own to guide our specialists to come up with rebranding strategy and solutions. The implementation of your rebranding strategy could be done in various ways to guarantee positive outcomes for the rebranding process. 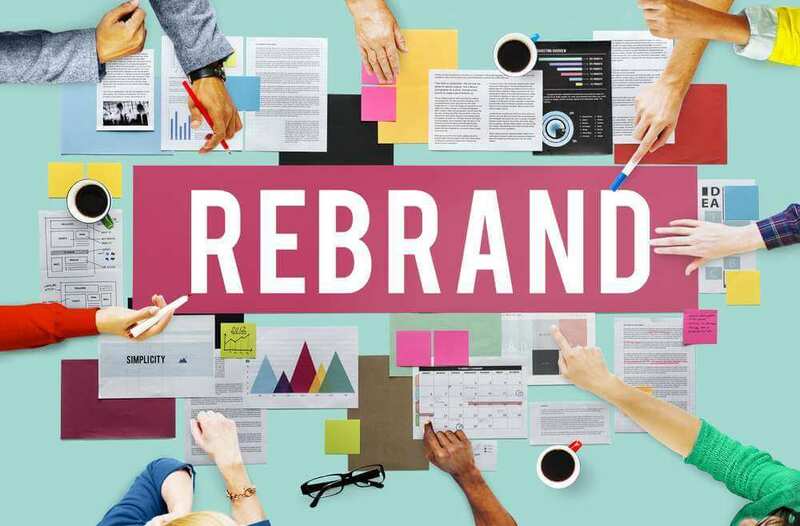 The rebranding execution options are direct mailing to existing customers, brand awareness using suitable social media platforms, a press release, holding a special event. Sponsoring a special event like a fundraiser is another prime way to introduce a brand redesign.